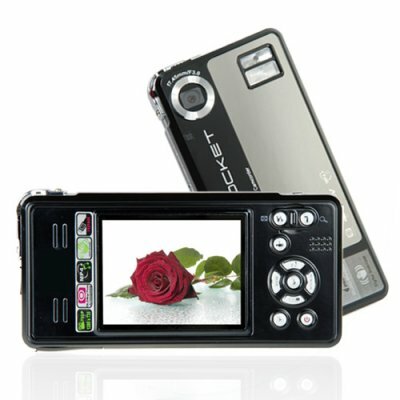 Successfully Added Hi-Def Digital Video Camera - High Definition Photos and Videos to your Shopping Cart. Digital photo and video camera with high definition 1280x720 (720P) video and picture capture plus extra clear 2.5 inch view screen. This digital camcorder will give you video and photo results you just cannot believe. With the styling and convenience of a modern digital camera, but the full breathe of functions as a modern camcorder, this unit will give you crystal clear and reliable results whether you are shooting video or taking family photos. Having a vivid 2.5" LCD view screen, it is very simple to capture pictures and video in true "what you see is what you get" style. And whether you are shooting day or night, indoors or outside, this model will help you record your experiences with stunning quality. Yes, this high def DV camera is as good as it looks! A low wholesale price and easy shipping make this a great re-selling item for featuring in your physical or online store. Available for single piece personal orders or even better priced wholesale stock orders now. From the original direct from China wholesale electronics supplier, Chinavasion. High definition camera for shooting video and still photos. Recording high resolution videos as MPEG4 and pictures as JPEG, the video camera makes your files very easy for transferring over to your computer and viewing immediately. Uses Trans Flash cards (TF/MicroSD) up to a whopping 8GB - never run out of recording space while on the road! Nice product compared to price. Software essential, but everything needed is inside. Strange backgound audio noise when playing recorded movies from videocamera (only played directly on the device, not tested on an external TV). Video in HD sometimes pixelate. All the rest is fine. Opinion: Storage memory should accept more GB space, 8GB will be pretty soon full when recording in HD.